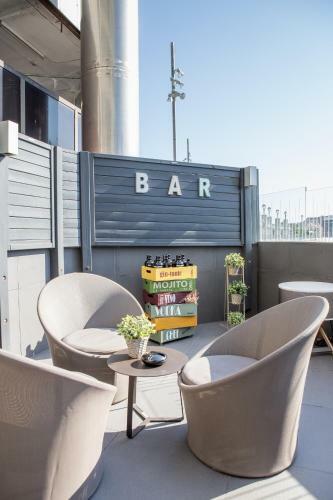 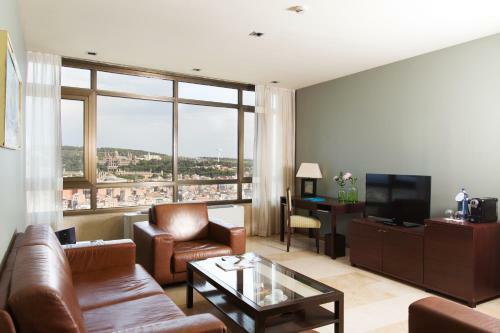 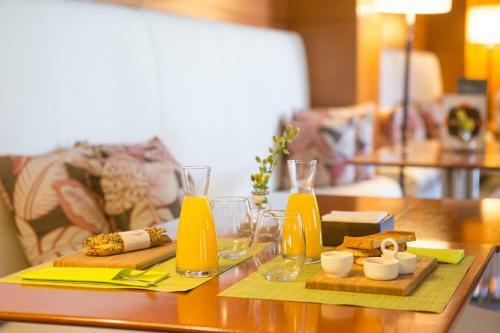 This comfortable hotel is located next to Sants AVE Train Station and offers panoramic views of Barcelona. 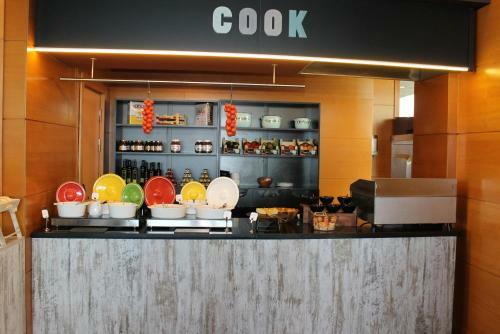 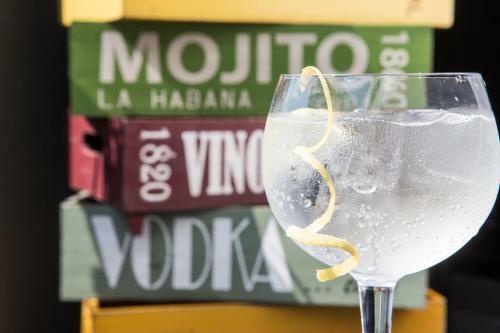 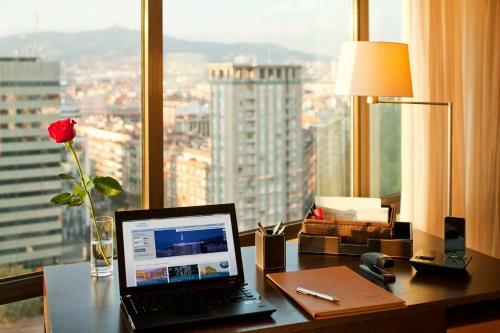 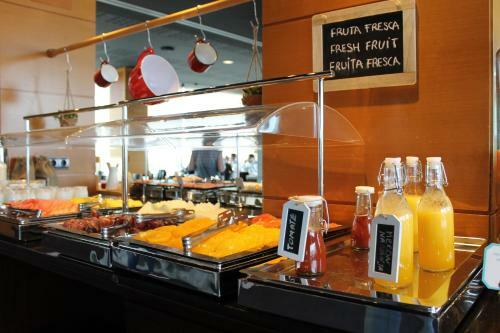 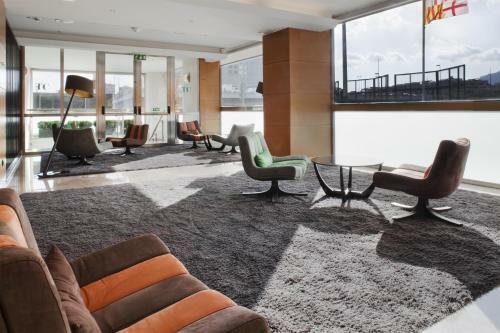 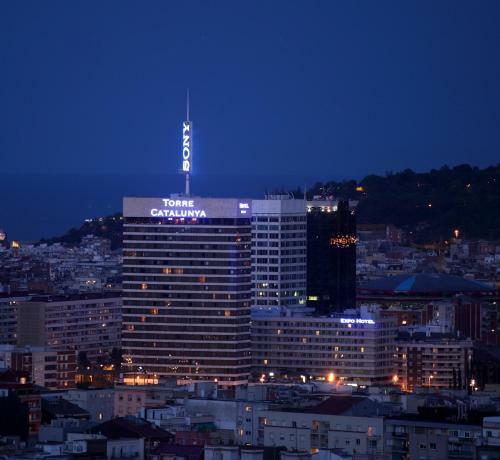 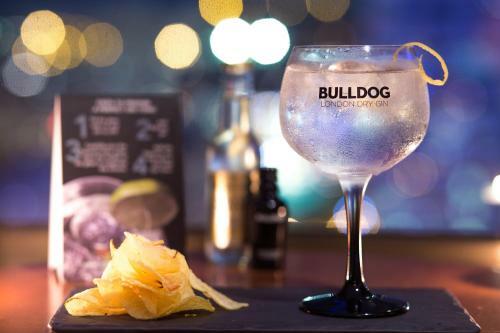 Gran Hotel Torre Catalunya has a 360º restaurant, a bar for exclusive use of the guests, a spa, and a fitness centre. 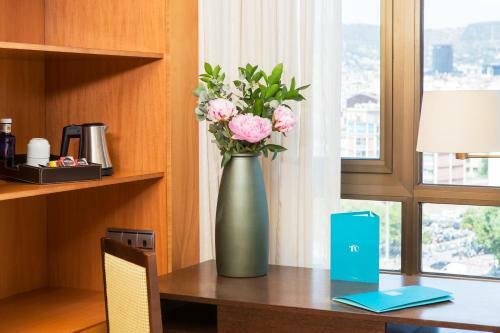 All spacious and bright rooms feature free WiFi, satellite TV, air conditioning, central heating, minibar, and 24-hour room service. 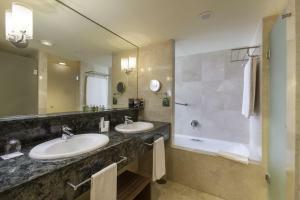 The private bathroom comes with a hairdryer, bath, shower, and free toiletries. 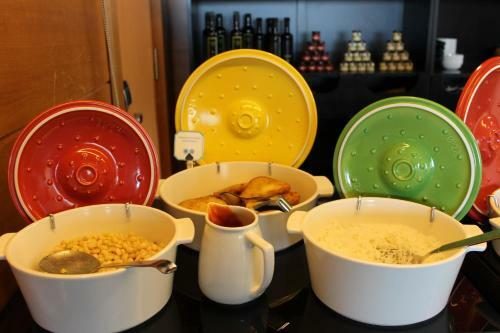 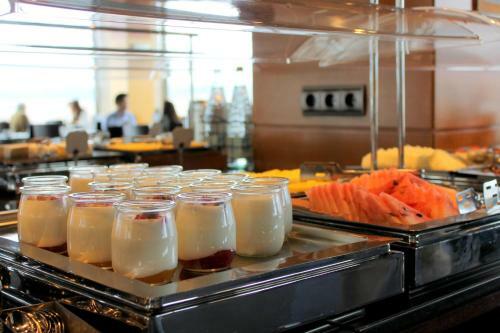 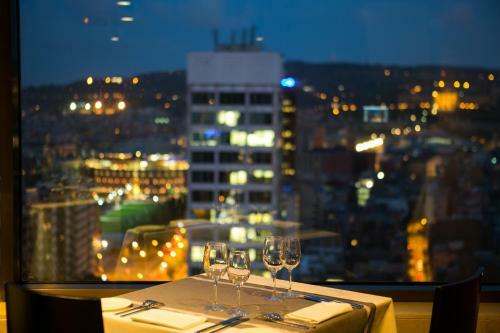 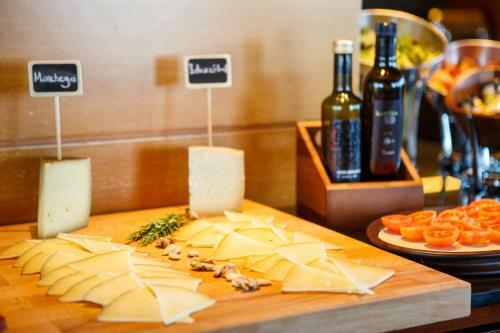 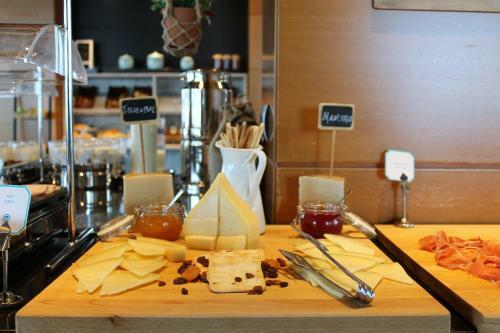 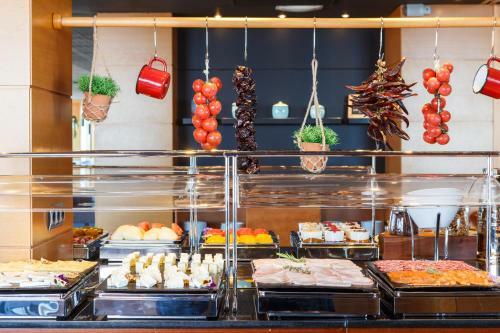 You can enjoy impressive city views from the hotel’s 23rd-floor Visual Restaurant, serving Mediterranean food. 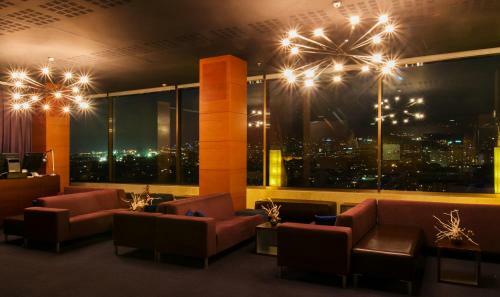 The modern Eclectik Bar serves snacks and cocktails and features an exterior terrace and minimalist décor. Plaza Catalunya and the historic centre are 1 stop away on the train, from Sants Train and Metro Station which is located 170 metres away. 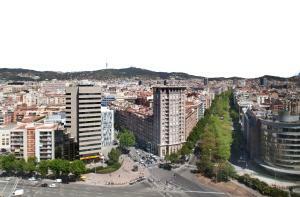 Barcelona FC’s Camp Nou Stadium is 3 Metro Stops away. Gran Hotel Torre Catalunya is 10 minutes’ walk from both Barcelona’s Fira Convention Centre and Las Arenas Shopping Centre. 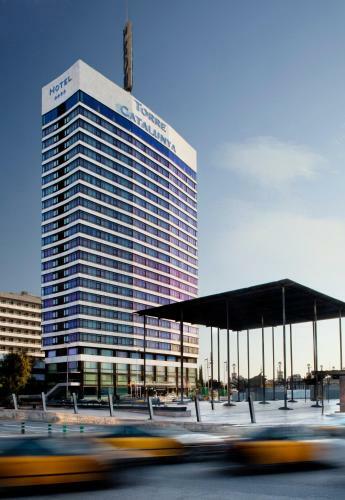 From May to September guests can use the rooftop swimming pool at the Expo Hotel Barcelona. 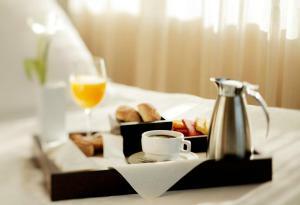 Please note that extra beds and cots are subject to availability. 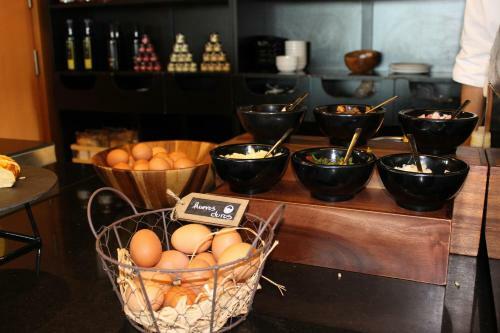 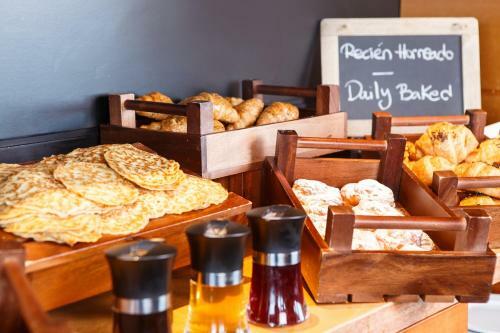 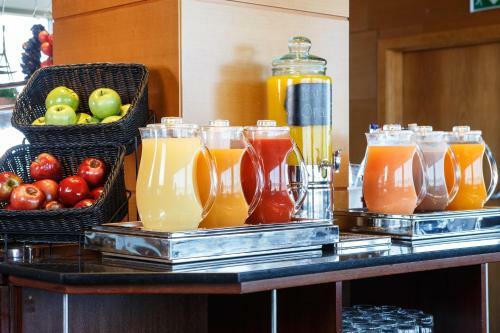 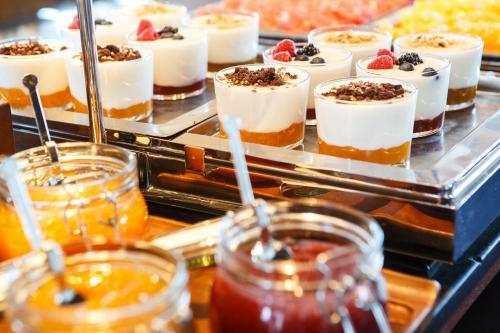 Breakfast will not be served on New Year's day, instead there will be a special New Year's Brunch at an extra cost of € 27.50 per person. 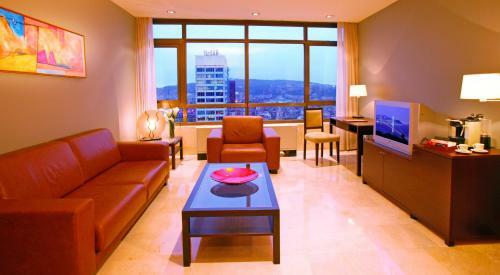 Please note that the maximum capacity per room is 3 persons. 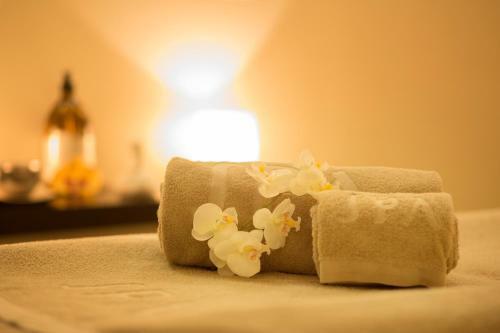 Please note that access to the spa carries a surcharge of € 20. Hotel guests receive a 50% discount. 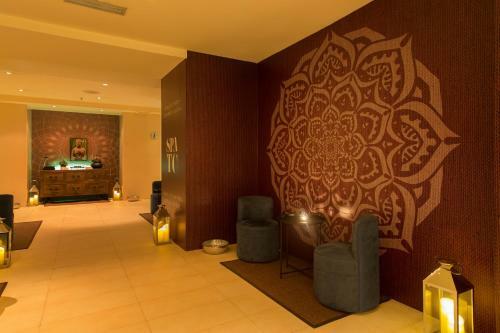 Children under 16 years of age are not allowed in the spa. 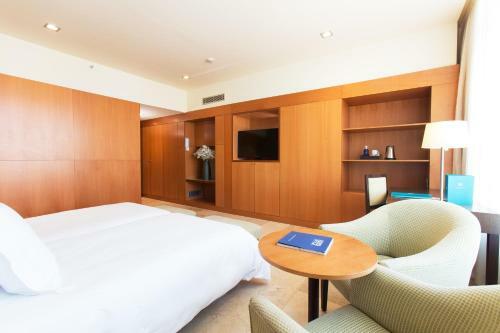 This spacious, air-conditioned room features a queen-size bed, free Wi-Fi and a minibar. 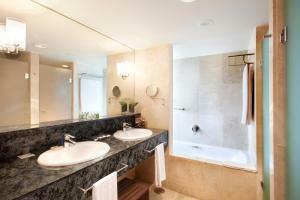 The marble bathroom includes a hairdryer and free toiletries. Rate: € 117.81 ... € 280.50; select dates below to get current rates. 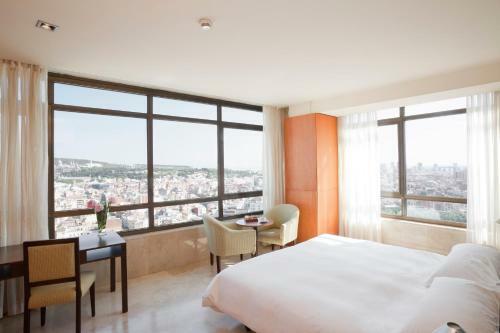 These are the largest rooms in the hotel and are situated on the higher floors of the building, offering stunning panoramic views over the city. 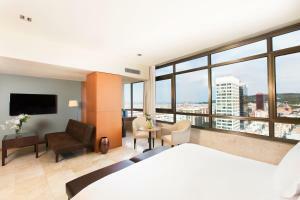 They come with a comfortable king size bed and large pillows, sofa bed with TV, air conditioning, a bathrobe and slippers. 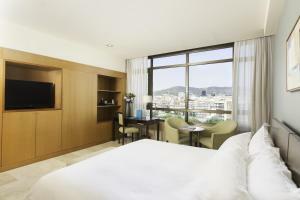 The room includes free WiFi, minibar, iron, and a bathroom with a hairdryer and free toiletries. 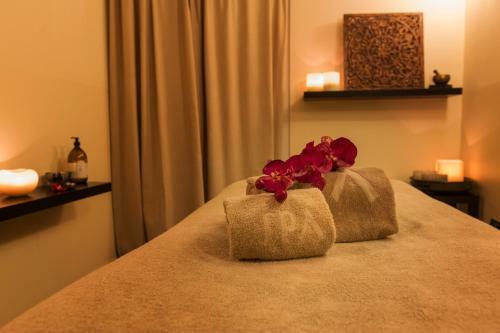 Guests over 16 years old have free access to the spa. 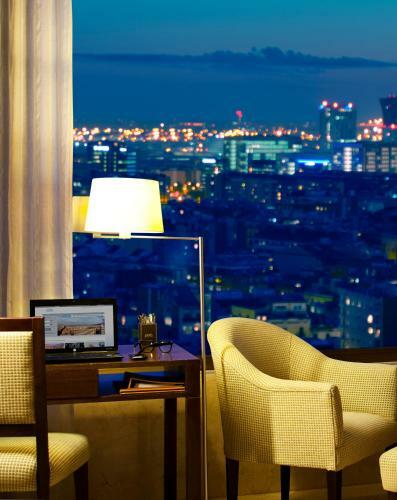 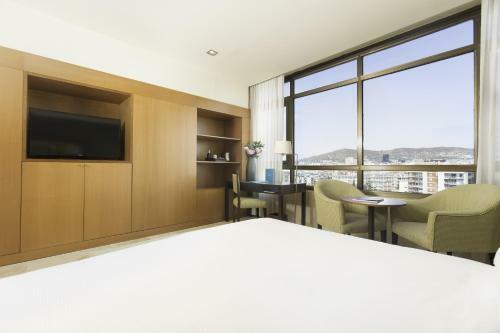 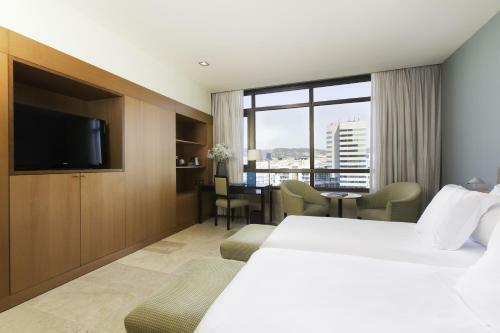 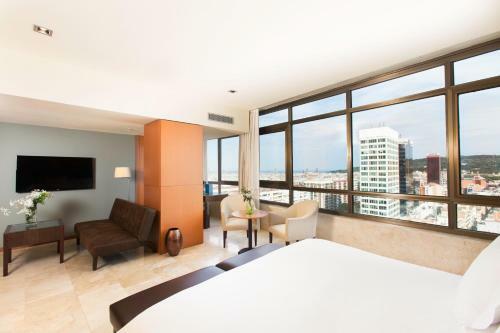 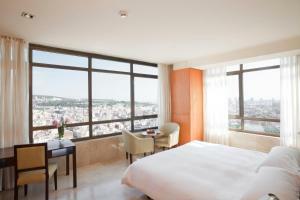 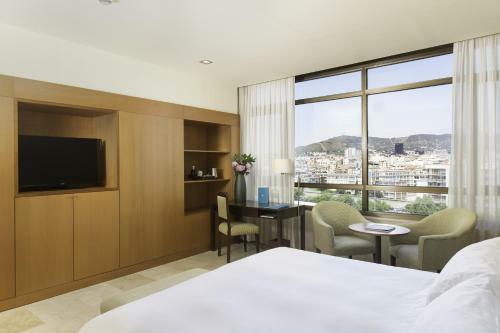 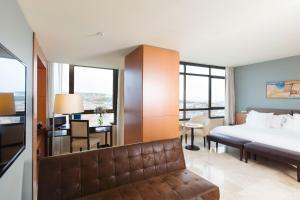 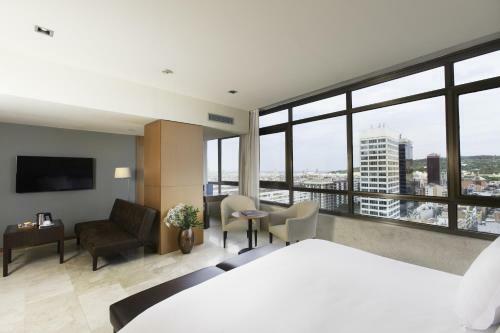 These spacious rooms are situated on the higher floors of the hotel, offering stunning panoramic views over the city. 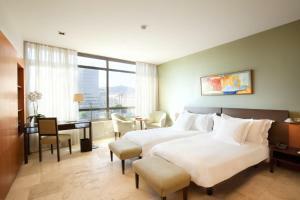 They come with a comfortable bed and large pillows, air conditioning, TV, a bathrobe and slippers. 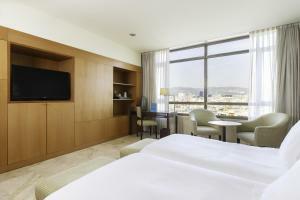 The room includes free WiFi, minibar, iron, and a bathroom with a hairdryer and free toiletries. 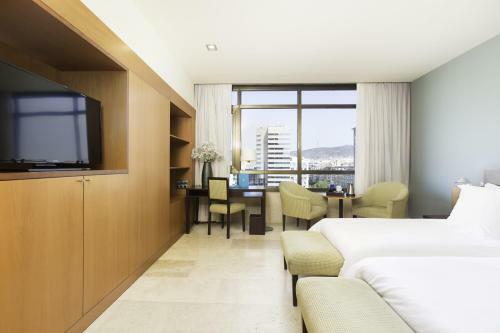 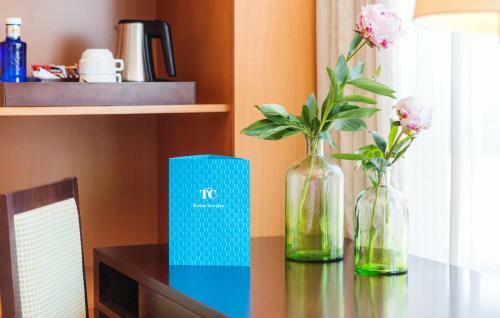 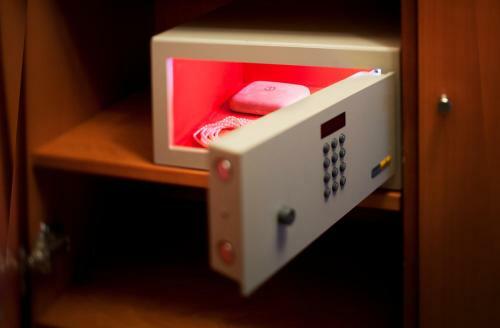 This spacious, air-conditioned room features free Wi-Fi and a minibar. 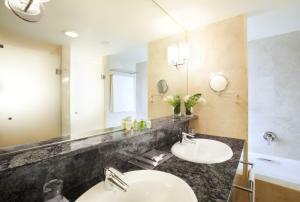 The marble bathroom includes a hairdryer and free toiletries. 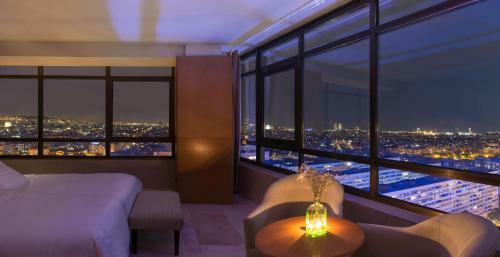 These spacious rooms are situated on the higher floors of the hotel, offering stunning panoramic views over the city. 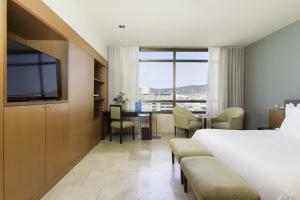 They come with a comfortable bed and large pillows, sofa bed with TV, air conditioning, a bathrobe and slippers. The room includes free WiFi, minibar, iron, and a bathroom with a hairdryer and free toiletries. 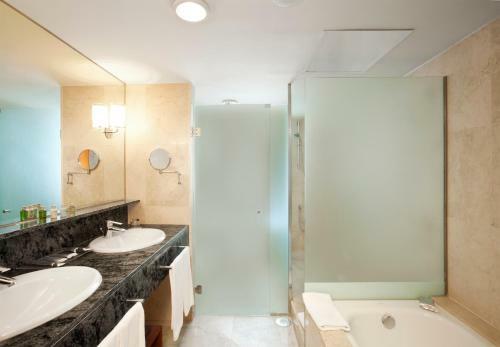 This room includes free access to the spa for guests over 16 years old. 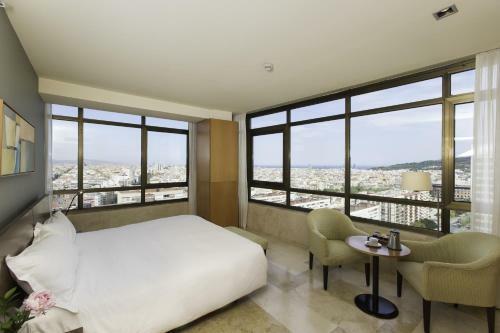 These are the largest rooms in the hotel and are situated on the higher floors of the building, offering panoramic views over the city. They come with a king size bed with large pillows, a sofa bed with TV, and a bathroom with a bathrobe and slippers. 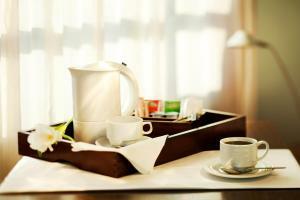 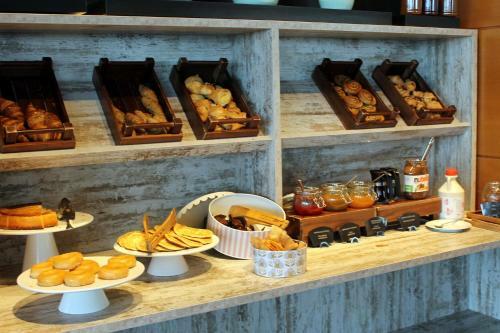 The room includes a minibar and ironing facilities; there is free WiFi available throughout. 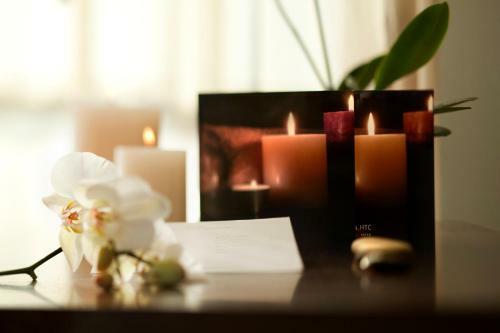 Guests over 16 years old have free access to the spa.